Last roll of the dice for the console before the PS4? 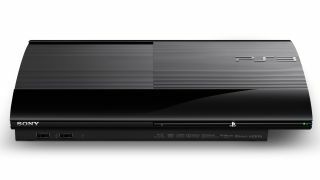 Sony revealed this week that it is releasing three new versions of the PlayStation 3. While we eagerly await the PS4, Sony is proving there's life in the old dog yet, by offering the PS3 in a triumvirate of new flavours and has redesigned the chassis to make it that bit thinner and lighter. Unveiled at the Tokyo Game Show, the three versions to choose from are: one with a 250GB hard drive drive (which comes bundled with Fifa 13), one with a 500GB hard drive and one that's brandishing 12GB SSD memory. The SSD variant can be hooked up to an external hard drive for extra disk space – a product that Sony is releasing at the same time as the new console. All three versions are set to come to the US, but the UK will have to choose between the 500GB and 12GB SSD version. According to Sony, the new-look PS3's weight has been cut in half compared to the first 60GB PS3, with the company explaining that it has "completely redesigned the internal design architecture". It's also between 20 per cent and 25 per cent lighter than the current PS3 crop. And there is a new sliding disc cover on board which is said to save on space. Ooh, slidey. When it comes to pricing, UK retailers are allowed to set their own but the 500GB version will be $299, 299 Euros (approx £180) and the 12GB console will come in at $229, 229 Euros (around £150). The PS3 12GB version UK release date is set for 12 October, while the 500GB version is set for 28 September.